Welcome to my New Book! 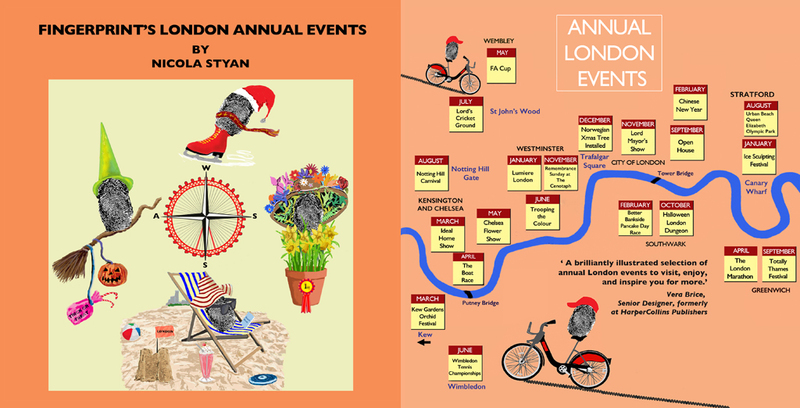 Fingerprint’s London Annual Events is a compilation of London’s annual events that represent a diverse and culturally rich city. Mis Print (i.e. myself!) will accompany you on a journey throughout the year and take part in the fun and significant events that occur in London annually. I hope this book will provide an insight into London’s historic and current events and inform everyone in a fun way what London has to offer throughout the seasons. 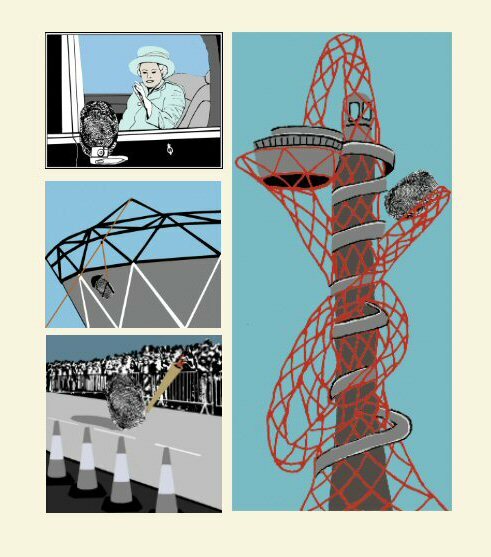 ‘Fingerprint Remembers London in 2012’ is a collection of reproduced woodcuts and screen prints brought to life through the character of the artist’s fingerprint attending, and taking part in the wonderful places and events that London beheld in 2012. 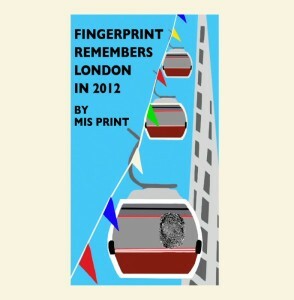 Under the pseudonym ‘Mis Print’, the artist Nicola Styan has expressed her alter ego in the form of her fingerprint. The Fingerprint series is an interesting journey through cities and landmarks that incorporate cultural and fun experiences. This paperback book has 35 pages with full colour images and can be purchased on www.Lulu.com.